Seriously, are NHL players getting younger and younger? We now have players in the league born in the year 2000. Could we slow this down a little? 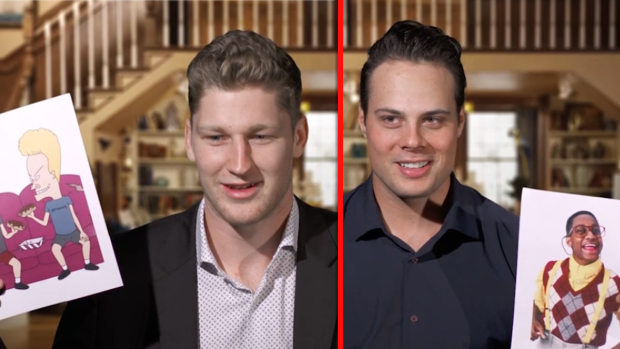 To put things into perspective, the NHL put together a video based around today’s stars trying to name TV characters from not that long ago. Fans born in the 80’s or 90’s may remember some of these characters, and it’s entertaining to watch as the greatest hockey players in the world squirm to name these characters. Ferris Bueller’s day off? Come on, Clayton! We’re going to call the winner’s Chris Kreider and Evander Kane. Those two seemed to know their way around a late-century cast. Just for a little bonus entertainment, the filmmakers decided to add an extended opening.